Brick Erosion of Liquid Crystal Glass Furnace and the Safety Countermeasures of Running in Later Campaign Stage WANG Xiaohu;HE Huaisheng;MA Qiang;YANG Daohui;LI Zhen;Wuhu Dongxu optoelectric technology Co. Discussion on the Blocking and Dredging of Glass Furnace Checker SHAO Zhengxun;ZHOU Honglin;WU Wei;Henan Ancai Hi-tech CO. 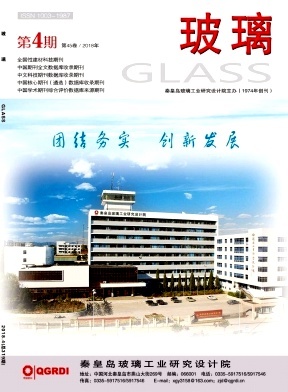 Improving the Precision Control of Glass Substrate Cutting ZHOU Aifeng;MU Meiqiang;Zhengzhou Xufei optoelectronic technology Co.
Forecast of Development Trend of 3D Curved Glass Market REN Shuming;LIU Zaijin;GONG Ruhua;LI Qing;sichuan xuhong optoelectronic technology co.